For nearly twenty years, the Gospel Harmonettes of Birmingham. Alabama have reigned as America's outstanding female Gospel singing group. Ever since the brilliant performance and divine message of their first record, "I'm Sealed[ first swept the nation In 1951. the Hermon.Iles have been the standard by which all others are fudged. Their shouting style brought In a whole new era In Gospel music, and their influence Is Mind everywhere today. Dorothy Love Coates a singer who has been asked many times to stop Into the world of pop music. As you will surely agree when you hear her voice, she could well have surpassed the fame of Aretha Franklin. 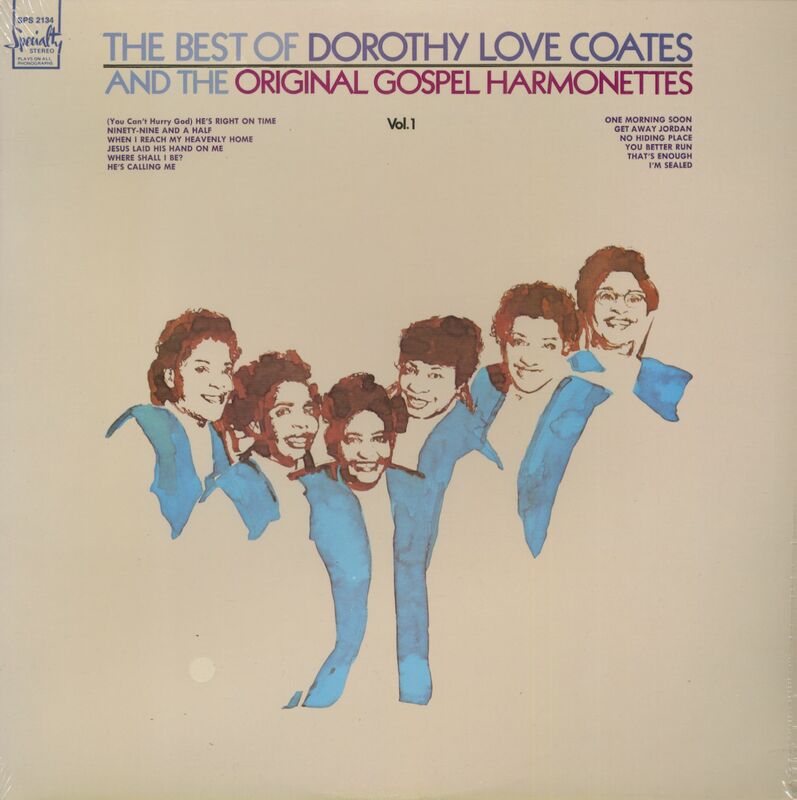 But Dorothy has continued to use her God-given talents solely in the service of the Lord. Like the other Gospel Harmonaires, she doesn't consider monetary gains nearly as valuable as the rewards to be realized from believing and spreading the Gospel in song. She has made a powerful Impact upon the Gospel world not only as a singer but as a prolific composer as well. 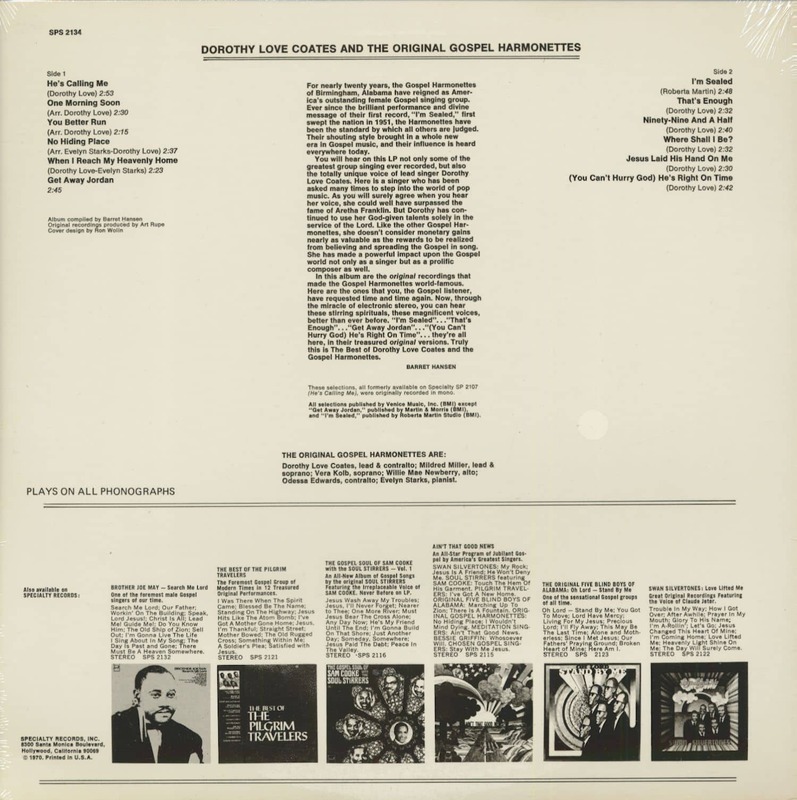 Kundenbewertungen für "The Best Of Dorothy Love Coates (LP)"